Albuquerque, New Mexico, is a one-of-a-kind destination filled with enchanting scenery, romantic dining, and unique attractions. The opportunities for fun are endless here. A favorite attraction of this area that you don’t want to skip during your trip is the Casa Rondena Winery in Albuquerque. Located on some of the most lovely and peaceful grounds you’ve ever encountered, this is a wonderful place to taste wine, go for a walk, or even enjoy some entertainment. Discover why you need to visit the Casa Rondena Winery, one of the finest attractions in Albuquerque, and start planning your outing today! A family-run winery, this Albuquerque vineyard has been producing unparalleled wines since the late 1990’s. The carefully handcrafted wines at the Casa Rondena Winery are a delight to taste. From deep, rich ports to crisp whites, their selection of wine covers the full range of sweetness and flavor. Each wine has its own distinct qualities and characteristics, so you will love whatever kind you try! What could be more soothing than a stroll through a quiet, scenic setting? The Casa Rondena Winery is the ideal place to go to unwind. 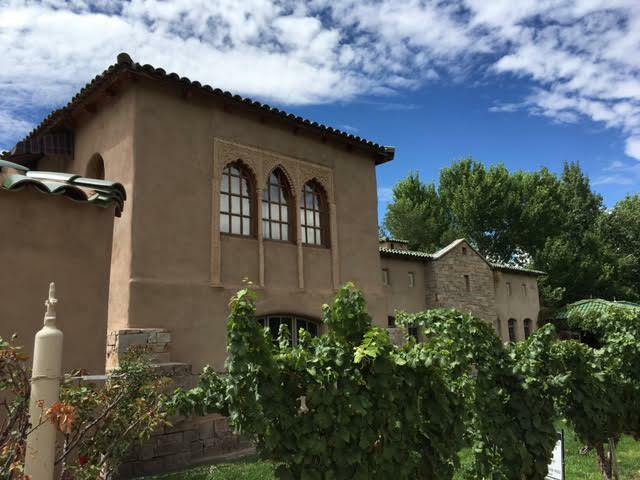 The beautiful sights combined with the elegance and stunning buildings of the Casa Rondena Winery and its tasting room makes this spot a peaceful haven in Albuquerque. The Casa Rondena Winery creates a fun atmosphere for their guests by providing a wide variety of events and activities that everyone will love. The winery frequently hosts live music, giving visitors the opportunity to see some talented local performers. The Casa Rondena yoga classes are popular with many people as well. The gorgeous vineyard serves as the perfect backdrop to help you breathe and relax. They also host seasonal events to celebrate significant holidays, such as their Mother’s Day brunch or a party on the 4th of July. Release parties are also thrown when they unveil a new wine. Follow the Casa Rondena Facebook page to get the latest updates on upcoming events! If you want to do more wine tasting in Albuquerque, the Gruet Winery and St. Clair Winery are located nearby as well! There is so much to see and do in Albuquerque! 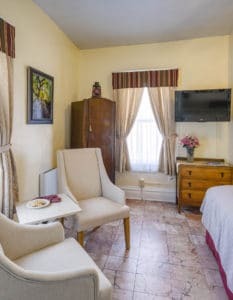 If you’re planning a visit to this destination, treat yourself to a stay in some comfortable and convenient accommodations. The Bottger Mansion of Old Town is a historic bed and breakfast in Albuquerque offering lovely rooms, outstanding amenities, and friendly hospitality. Explore the many attractions of Albuquerque or simply relax in the peace and quiet of our shady courtyard. You will love your time in our beautiful oasis in New Mexico, so check our availability and book your stay today!